SATA to IDE Dongle. 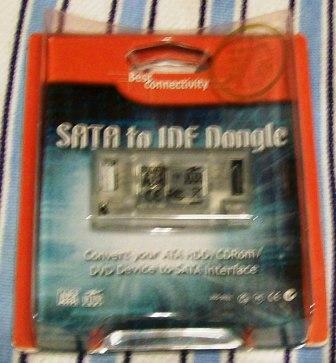 This unit will convert your ATA HDD/CD Rom/DVD Device to a SATA connector.This means you can use that IDE device on those new mother boards that don't come with a IDE connector.Comes in seal package. Mfg. Warranty only.